See Cairo’s essential destinations with a full-day tour of the city’s historic and cultural sites. Explore the vast collection of artifacts at the Egyptian Museum, and see the gilded, iconic funeral mask of Tutankhamun. Take in views of the city from the medieval ramparts at Saladin’s Cairo Citadel, and visit the exquisite Muhammad Ali mosque within the walls. Enjoy a traditional lunch at a neighborhood restaurant, then spend an hour at Khan El Khalil bazaar browsing vibrant stalls and local shops before returning to your hotel. A tour guide will pick you up from your hotel at 8am for this excursion. Your first stop is the Egyptian Museum, that displays the largest number of most precious items of Egyptian antiques. A rare collection of over 250,000 genuine artifacts that date 5,000 years back, including an exclusive exhibit dedicated to the Tutankhamun. The Saladin Citadel of Cairo is a medieval Islamic fortification. This place on Mokattam hill near the center of Cairo, was once famous for its fresh breeze and grand views of the city and now it's a preserved historic site, with mosques and museums. The Citadel is sometimes referred to as Mohamed Ali Citadel, because it contains the Mosque of Muhammad Ali. 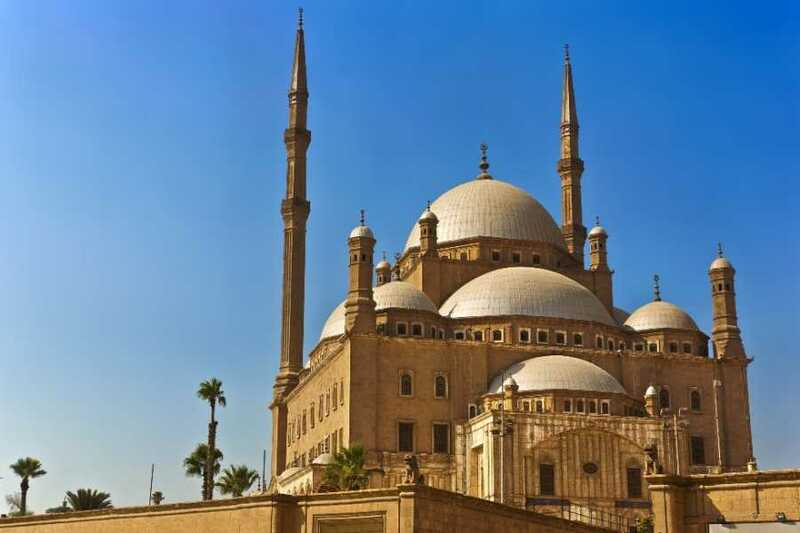 This Ottoman mosque, the largest to be built in the first half of the 19th century, is, with its animated silhouette and twin minarets, the most visible mosque in Cairo. The mosque was built in memory of Tusun Pasha, Muhammad Ali's oldest son, who died in 1816. 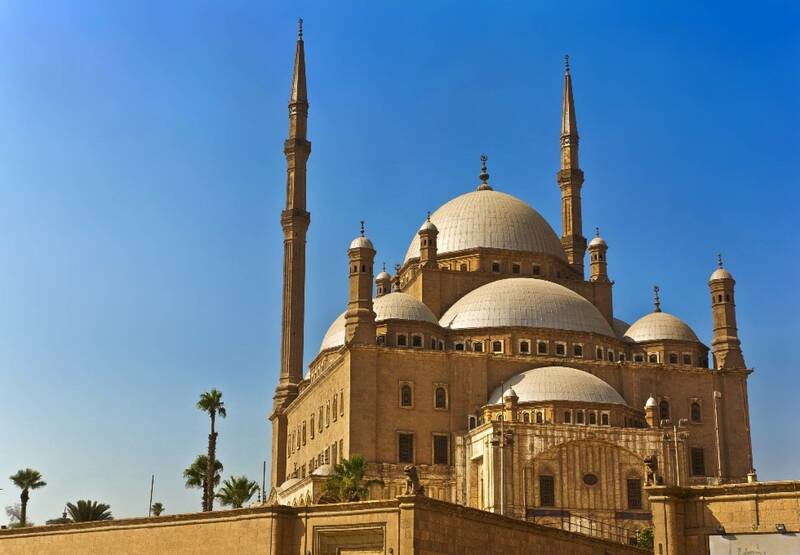 This great mosque, along with the citadel, is one of the landmarks and tourist attractions of Cairo and is one of the first features to be seen when approaching the city from no matter which side. After, take some time to relax and absorb everything you have seen and experienced over a delicious lunch at a local restaurant (included). After lunch continue to the Khan El Khalil Bazaar. Today it is mainly occupied by Egyptian rather than foreign merchants and shop holders, but is significantly geared towards tourists. Shops typically sell souvenirs, antiques and jewellery, but many traditional workshops continue to operate in the surrounding area. In addition to shops, there are several coffeehouses, restaurants, and street food vendors distributed throughout the market. After around 1-hour shopping your tour will finish and you will be taken back to your hotel.